Several weeks ago I shared here that our family would be doing a Promotional Video for Georgia Public Broadcast (GPB) Kids, if you are a GPB watcher you may have seen us already. If not here are our videos. ENJOY!!! Deakin and I where featured in this video. I was so worried about being on camera, but I loved the final result. Romee played the role of Einstein in the second promo. His little twitch of his nose at the end is hilarious! I must also remind you that my hubby is an On Air Graphic Designer at GPB and did all the graphics for our promos so this was truly a family project. I loved that we were given the opportunity to do this and look forward to playing it for my boys and their own families in years to come. Yolanda!! this is adorable!!!!!!!!!! So cute!! They both have their own commerical! This is a great keep sake! Thanks Bernetta! They are so excited!!! So the kindergartner likes the videos! He said “I want to do that”. LOL. I will keep him in mind if they decide to more in the series! What a fun thing for your family to get to do together! OMG, ya’ll are SO CUTE in the GPB commercial – I am in love with it! Thanks Lindsey we had so much fun doing it! So cute – we love PBS in this home! So awesome! 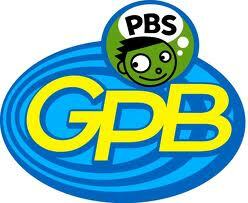 I didn’t realize that you had that tie in with GPB…and how cool that everybody was involved. that is an AWESOME famil project and how cool you were all involved! What a fun experience! Your little Einstein is just too cute! wow, that sounds like a neat job – and that really is very cute. This is so exciting, and I must say you both did a fabulous job in the video. OMG he is too cute! How exciting. That is so cool! What a fun opportunity! Congratulations to your kids for making it onto GPB! That’s so cute! Astrid recently posted…What Is a Sensory Diet? Your husband’s job sounds so awesome! While I don’t live in Georgia, Public Broadcasting has made such an impact on my life, exposing me to new ideas and helping me learn since I was a child. How cool that your family was able to take part in such a fun promo video! SO cute. My 4 year old is watching over my shoulder and loves it. Debi recently posted…HP Deskjet Printer Only $32.99 Shipped! That is seriously the most fun thing ever! Love that your family was able to take part in the promo video! Great memories! I love that everyone had involvement in this. What an incredibly cool thing to be a part of as a family! Liz @ A Nut in a Nutshell recently posted…It’s A Cookie Thing! Haha the second video is so cute! I love the Einstein getup! I love it too the best part is its just him being him!!! It is really cool that your husband is part of the team that makes this educational entertainment possible for your children and for other chiildren. Janeane Davis recently posted…Walmart Family Mobile – Best Wireless Plan for Our Family? Love the Promos…the boys look so cute and they are naturals. Yes we watch GPBKids in our household and I really love the programming. That’s awesome. I love that it’s a true family project. These are so cute!! Absolutely love it! !